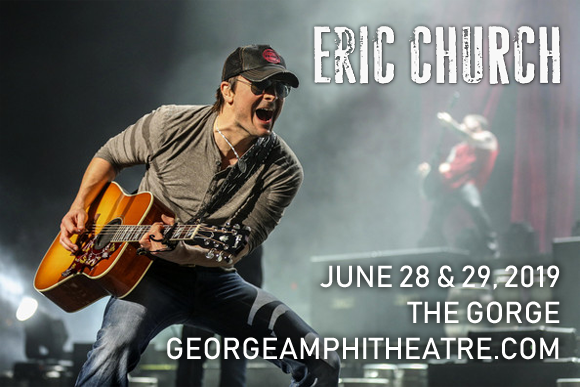 One of country music's most exciting live acts, Eric Church, comes to Gorge Amphitheatre on Friday 28th June 2019 for two nights in a row on his Double Down Tour! Church will be performing two completely different sets over the two nights, including songs from his latest release, Desperate Man, fan favorites and hand picked classics, in an epic back-to-back event! Enjoy a unique and unforgettable experience from a unique and unforgettable artist!